Here at Airwolf 3D, we love to celebrate the great American inventors who blazed the way for the technology upon which we, and our customers, rely on every day. 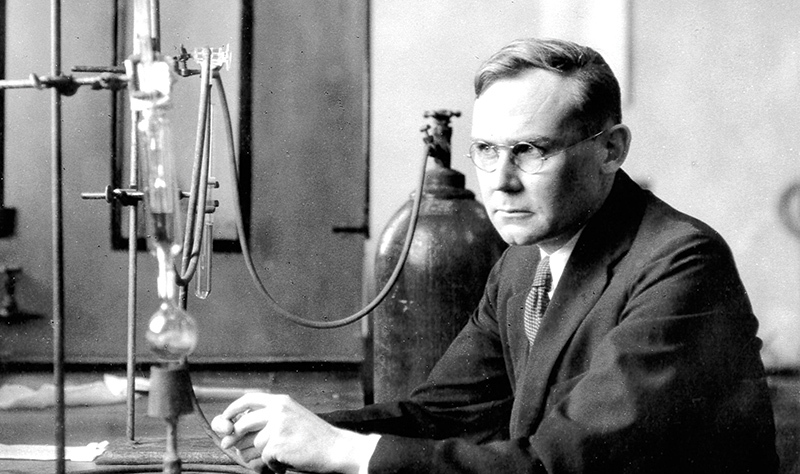 This month, we pay tribute to Wallace Carothers. Carothers was an American organic chemist who served as a group leader at the DuPont Experimental Station, a laboratory dedicated to polymer research. The brilliant chemist is credited with the invention of nylon, a material integral to the development and process of 3D printing. 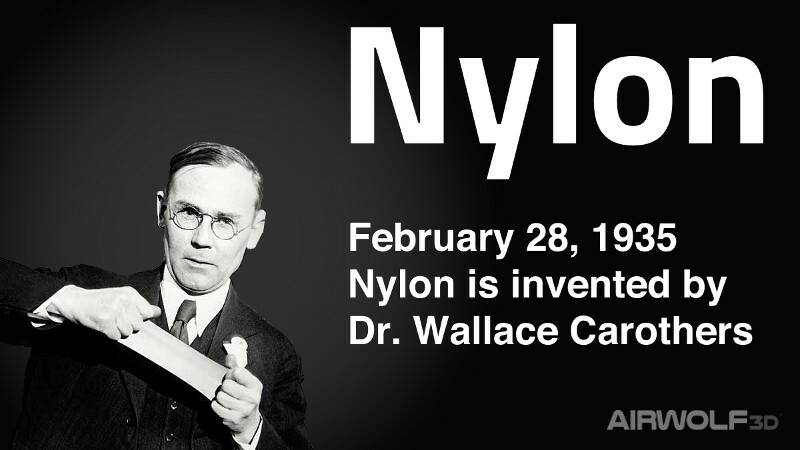 Using diamines, Wallace Carothers produced the first example of nylon (nylon 6,6) on February 28, 1935 at DuPont’s research facility at the DuPont Experimental Station. While working at Dupont, Carother’s exploration in super polymers began as an exciting and unrestricted leap into the unknown. Like many famous, curious engineers before him, he did this with no practical objective in mind! The research was in a new field in chemistry and DuPont was betting that any new chemical breakthrough would likely be profitable for the company. By 1934, Carothers was playing around with combinations of various chemicals such as amine, hexamethylene diamine, and adipic acid. From this, he was able to create fibers. They were, however, weak. These fibers were formed by the polymerization process known as “condensation reaction.” This happens when individual molecules join together and water is just a byproduct. The real breakthrough came after such a condensation reaction. As Carothers sat thinking, he noticed waterdrops produced by the reaction as they fell back into the mixture and prevented more polymers from forming. Excitedly, he adjusted the equipment so that the water was distilled and removed from the system. It worked! Fascinated, Carothers continued to experiment with these super polymers that became solids at high temperatures. As he explored further, he noted that filament could be made from this material if a rod were dipped in the molten polymer and then withdrawn. It was at this point that his imaginative experimentation shifted to a more focused project aimed at learning more about these filaments. It is interesting to note that, at this time, the high melting point of nylon made it a difficult substance to work with. Fortunately for us, DuPont chose this polyamide as a potentially viable commercial product and invested heavily into its research and development. Later on, Dr. George Graves began to work with Carothers on the project, eventually replacing Carothers as the head of their polyamide projects and continuing the development and future refinement of the new material. Without the curious tinkering of Wallace Carothers and the support at the DuPont Experimental Station to pursue this research, nylon might not exist today! Nylon was intended to be a synthetic replacement for silk, replacing the more expensive, natural material when it became scarce during World War II. The military substituted nylon for silk in applications like parachutes, flak jackets and many types of vehicle tires. 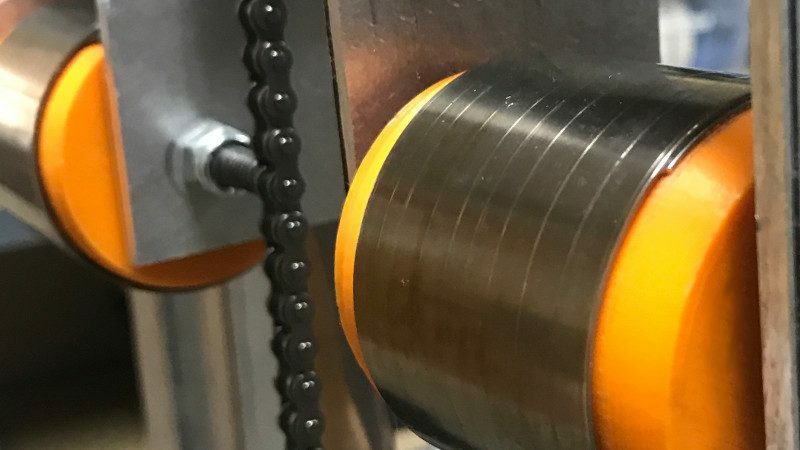 Today, nylon is used in many mechanical parts such as machine screws, gears, and other low- to medium-stress components previously cast in metal. 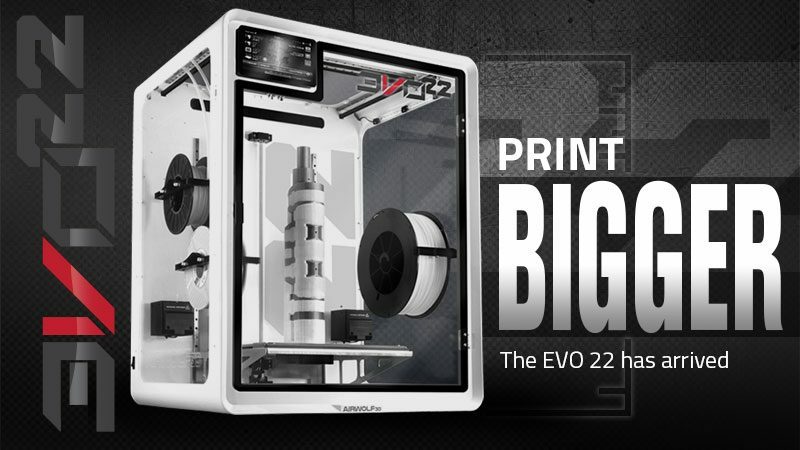 It is commonly used at Airwolf 3D to 3D print complex gears that can not be machined. The added bonus is that Nylon gears do not require lubrication and have a long life. Scuba mask with 3D-printed nylon parts. 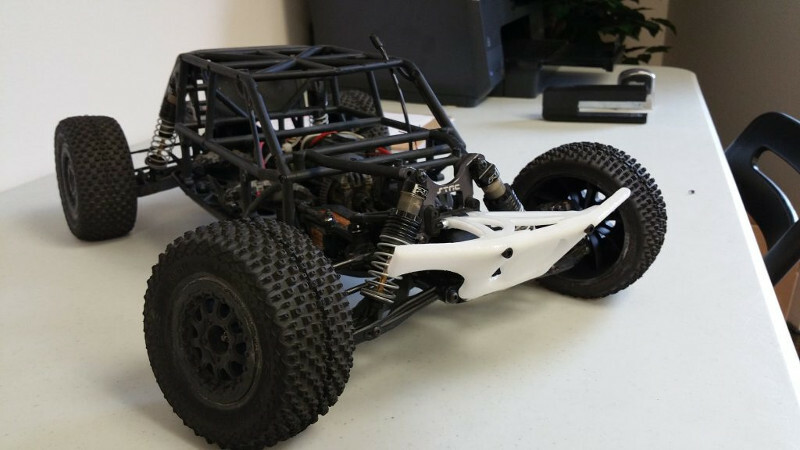 RC Car with redesigned skid plate 3D-printed in PCTPE nylon. 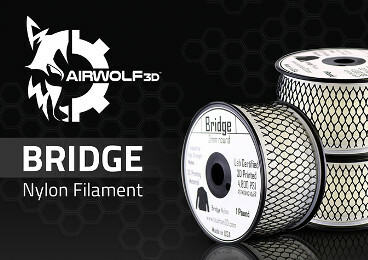 Airwolf 3D traditionally has printed gears in Bridge nylon. 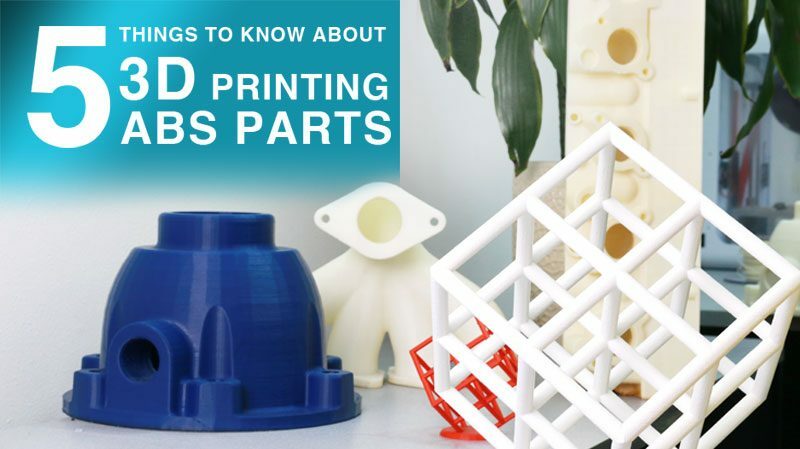 As of the writing of this blog, February 20, 2018, you can 3D print in over five different types of nylon. 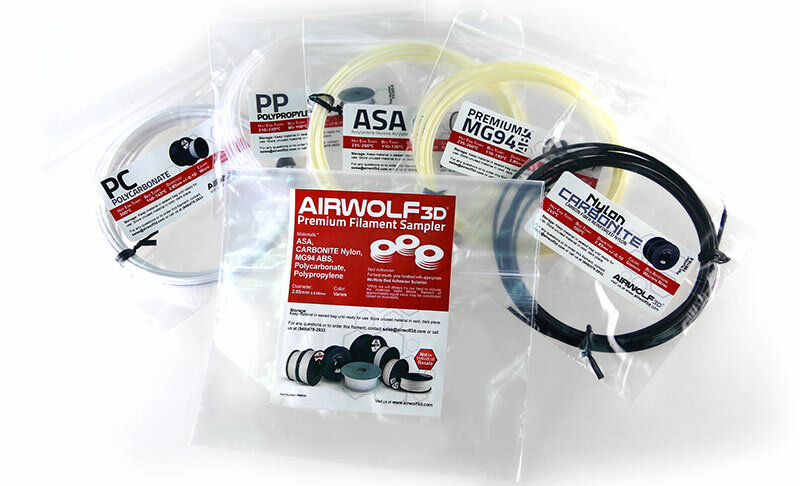 To celebrate the 83rd anniversary of Nylon, Airwolf 3D is offering special pricing on all of its nylon filaments and WolfBite Nitro, the only bed adhesive of its kind that keeps your 3D-printed nylon parts stuck to your heated bed! Stock up while you can. This promotion ends March 13, 2018. 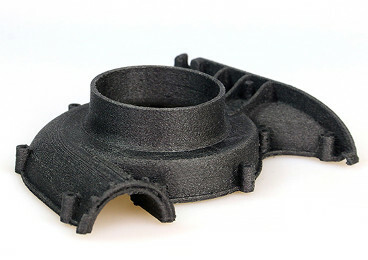 Designed for demanding applications, Nylon CARBONITE possesses all the properties of nylon, but reinforced with carbon fiber for reduced weight and less warpage. Sample uses: bicycle components, drone parts, robotics, automotive components, airfoils. With a combined tensile strength higher than the strongest copolyesters, the durability of nylon, a shrinkage factor that rivals T-Glase, a vast range of chemical resistance, and a 95°C working range, you now have one solution easily printable at 245°C. Sample uses: Pulleys, clips, protective cases, mounts and clamps, stands and holders. 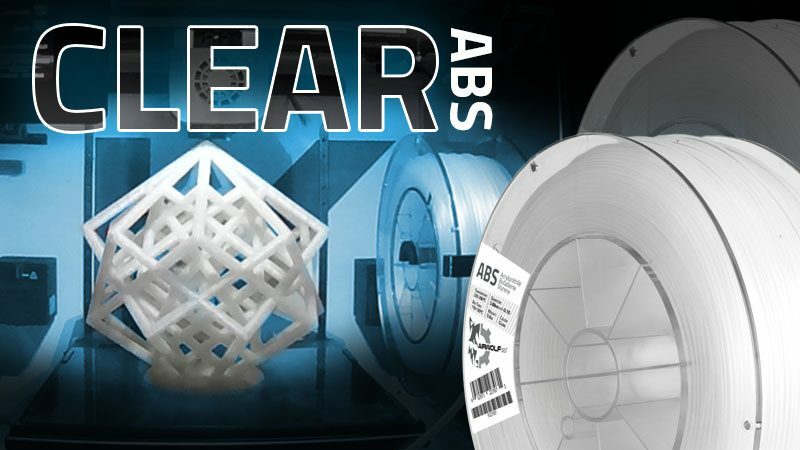 Taulman’s nylon is named “Bridge” for its ability to bridge the gap between ABS and Nylon filament for FFF-style 3D printing. 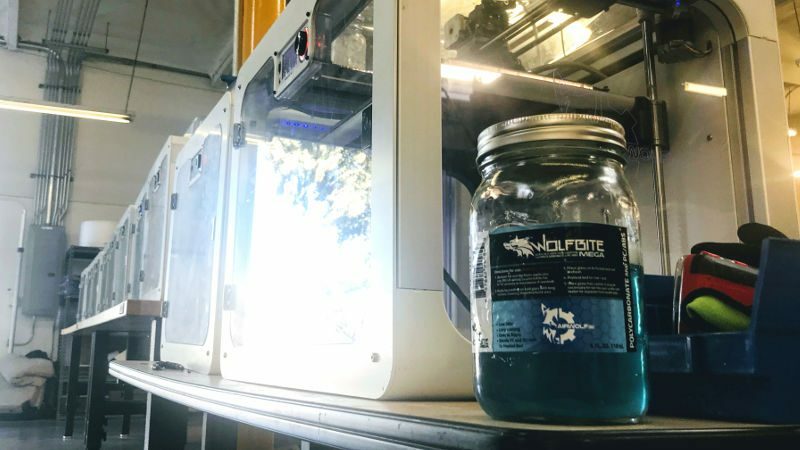 Taulman’s new “Bridge” nylon 3D-printing filament is the perfect solution for printing nylon with ease. The material has the strength characteristics of Nylon 645, but with much better printing characteristics, including better bed adhesion. Sample uses: gears, prothesis, clips, guitar saddles and pickups, handles, tube clamps. 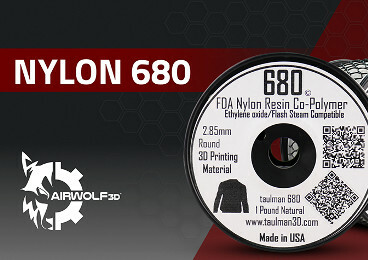 An excellent polymer that not only meets chemical requirements, but also enables the use of Nylon 680 in most FFF-tstyle 3D Printers. The material is a pure polymer that is FDA-approved. 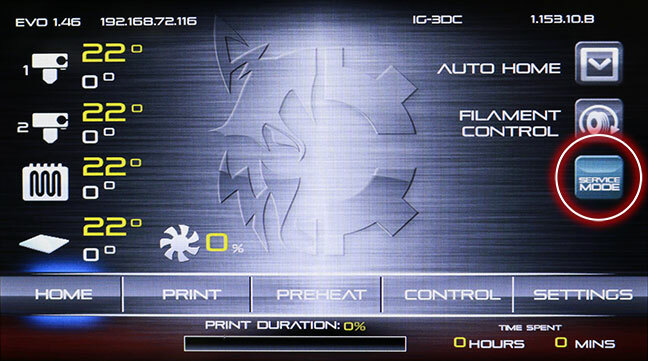 No additives are used in the chemical manufacturing or extrusion processes. Sample uses: prothesis, medical jigs and fixtures. 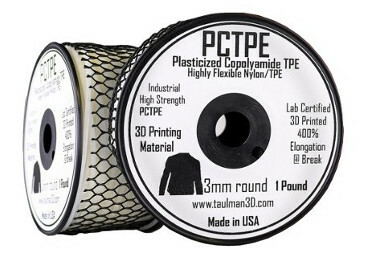 PCTPE is a new, highly flexible 3D-printing material that is a copolymer of highly flexible nylon and TPE (thermoplastic elastomer). Sample uses: robotics, high-impact applications, prothesis, seals. 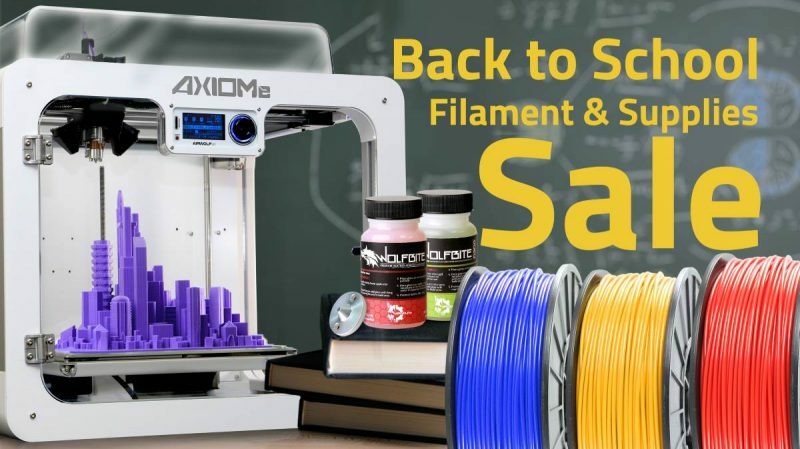 Can’t get nylon parts to stick to the bed of your 3D printer? 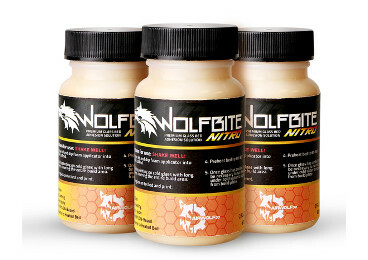 Wolfbite Nitro is a premium adhesion solution designed to bond nylon-based parts to the 3D print bed while printing and allow their smooth release when completed. Have Questions About 3D Printing in Nylon? Not sure if you’re choosing the right nylon for your project? Need more information? We’re happy to help. 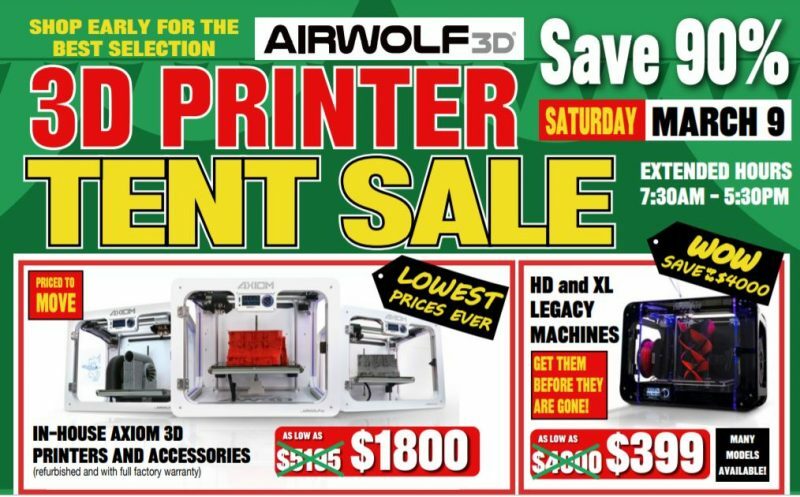 Simply contact us at (949)478-2933 or at info@airwolf3D.com. *While supplies last. Restrictions apply. 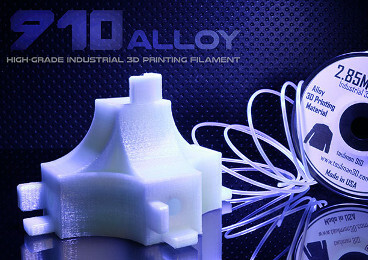 This entry was posted in Blog, Materials and Filaments. Bookmark the permalink.